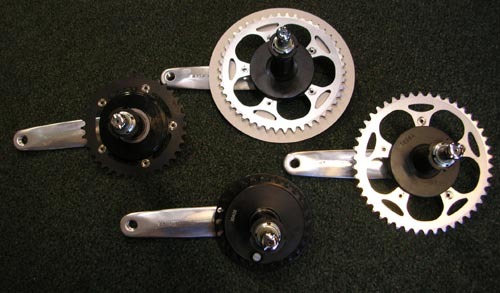 Aaron's Bicycle Repair, Inc. is committed to selling and servicing internally geared hubs and bikes so equipped. The chain does not fall off. You can shift while stopped. Simple linear shifting: Low through High. Gears last longer because they are inside the hub. 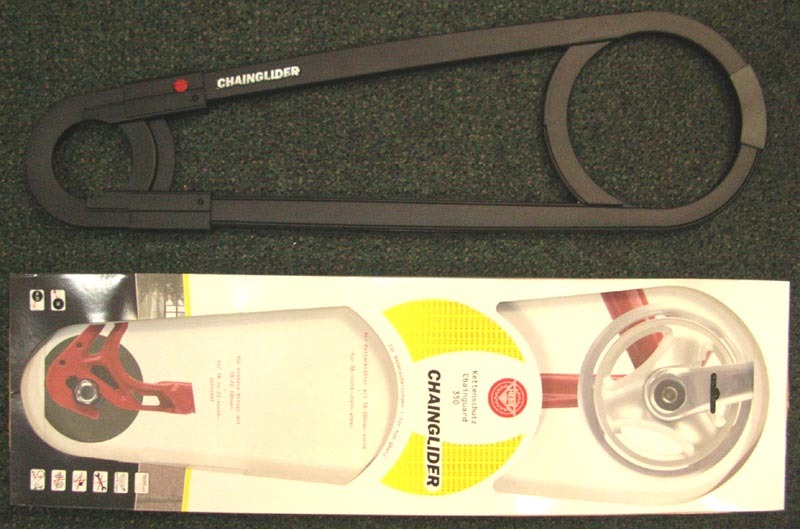 A chain case can be used to protect the chain from the elements and clothing from the chain. 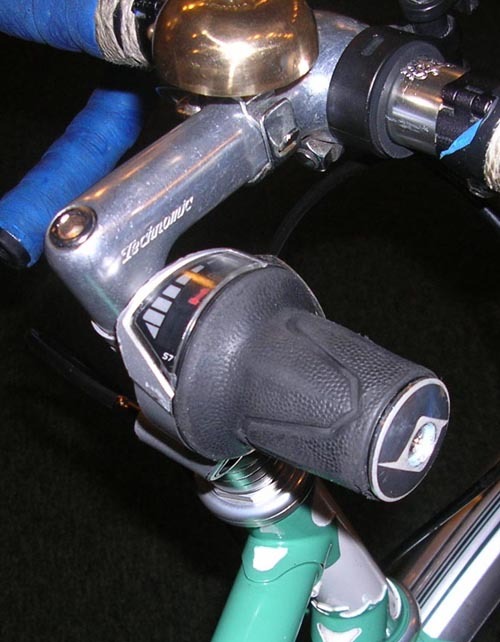 Back pedal brakes (coaster brakes) are an option, further simplifying the bike (no rear brake cable). Bikes we have built with internal gears. If your Local Bicycle Shop won't work on your hub then we will. 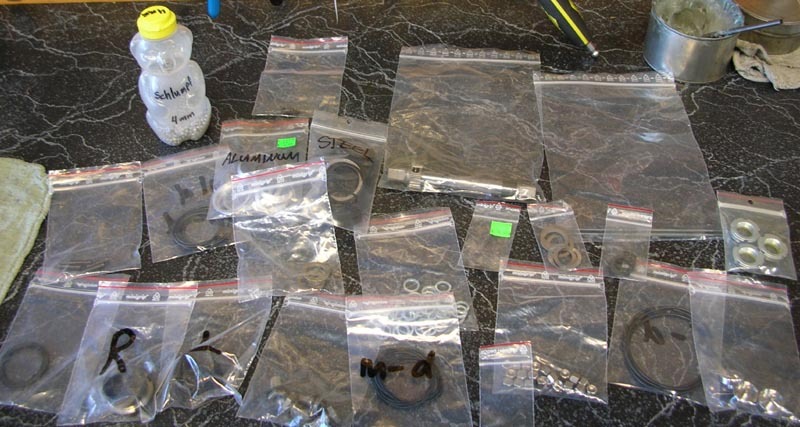 However, encouraging your LBS to fix your hub will encourage the bicycle industry to support parts and service. Bike shops: scroll to the bottom of this page for our IGH Service Notes. First, send an email to aaron@rideyourbike.com with the make and model number. 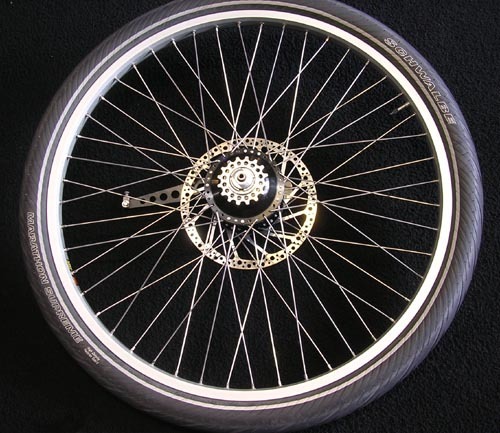 For older hubs send pictures of your rear wheel viewed from both sides, preferably on the bike. We will email you back within 3 days a yes or no if we can service the hub. Particular hub Labor Rates. 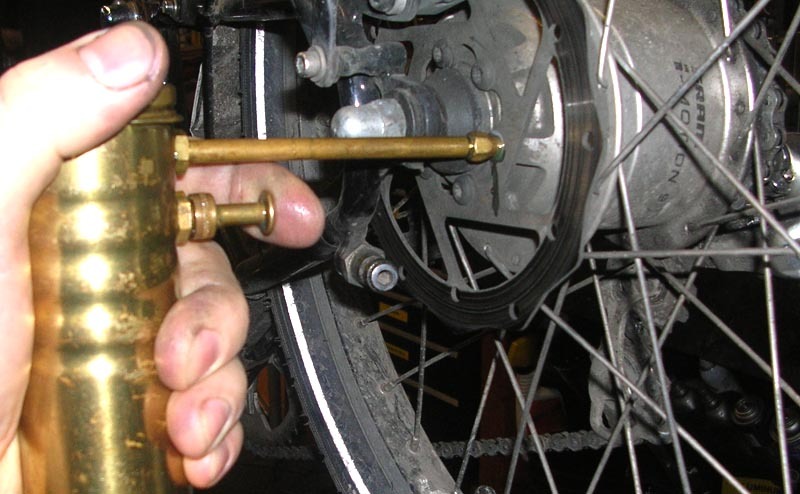 Extra dirty or hubs with antique grease may incur an extra cleaning charge. Parts are extra. Tax is only charged on labor for out-of-state orders. Our minimum labor charge is $30 to examine your hub even if we cannot fix it. It is impossible to give to you a comprehensive and accurate estimate until we see your hub and in many cases completely tear it down. 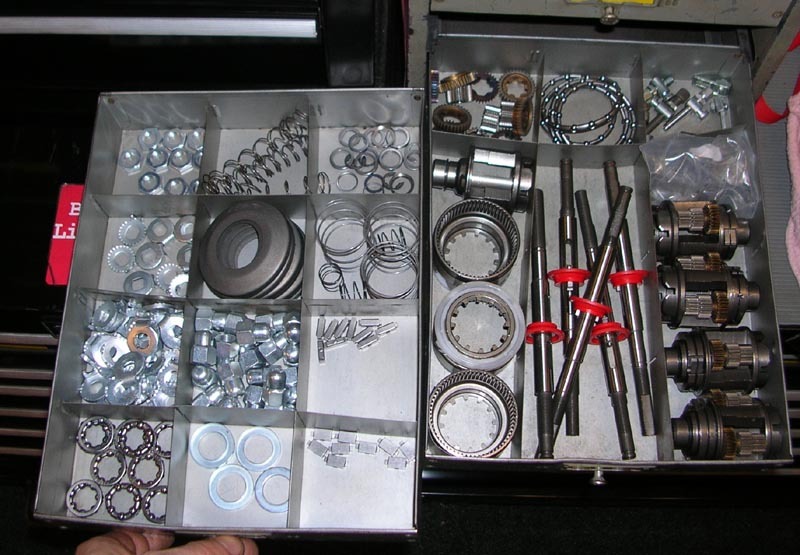 If your hub cannot be repaired for any reason (excessive wear/corrosion/lack of parts availability/expense), then your hub may be returned disassembled! 1. Clean the rim and tire of mud and grime. Wipe dirt off spokes. We will clean the hub. 2. 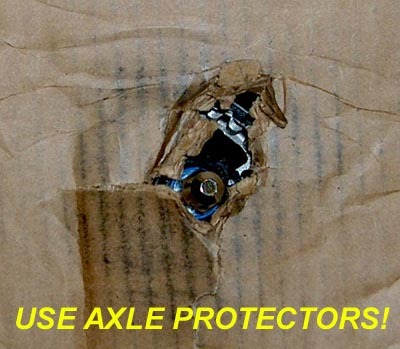 Protect the axle: Your LBS has plastic axle protectors usually for free. You can use blocks of wood with a slightly smaller than 3/8" hole drilled (11/32" or 23/64") half way through. This allows a tight fit to the axle. 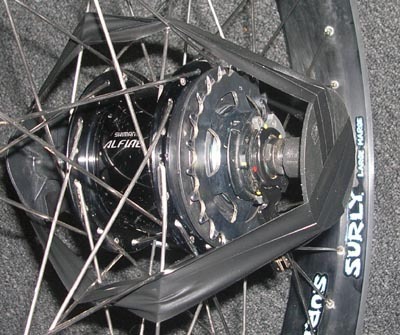 Secure the axle protectors to the wheel with black electrical tape (shown at right). DO NOT USE DUCT TAPE. It gets very sticky and messy. We charge $20 to remove it from spokes.....seriously! 3. Protect the rim: Ship the wheel with the tire pumped to 40 psi (even if shipping via air, the tire will not explode). 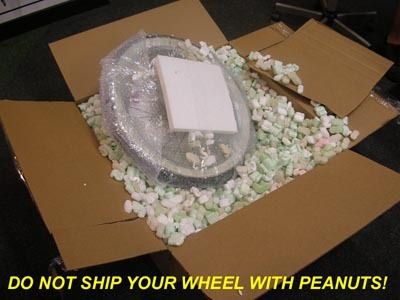 DO NOT SHIP WITH TIRE DEFLATED! An inflated tire will protect your rim better than any packaging. 5. 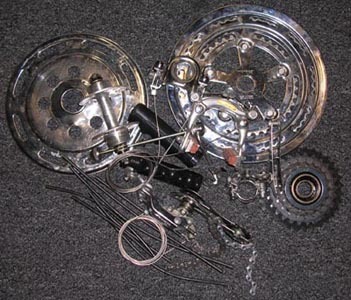 Include all parts: Please include the hub end shift mechanism (indicator chain, bell crank, shift rods, cassette joint). 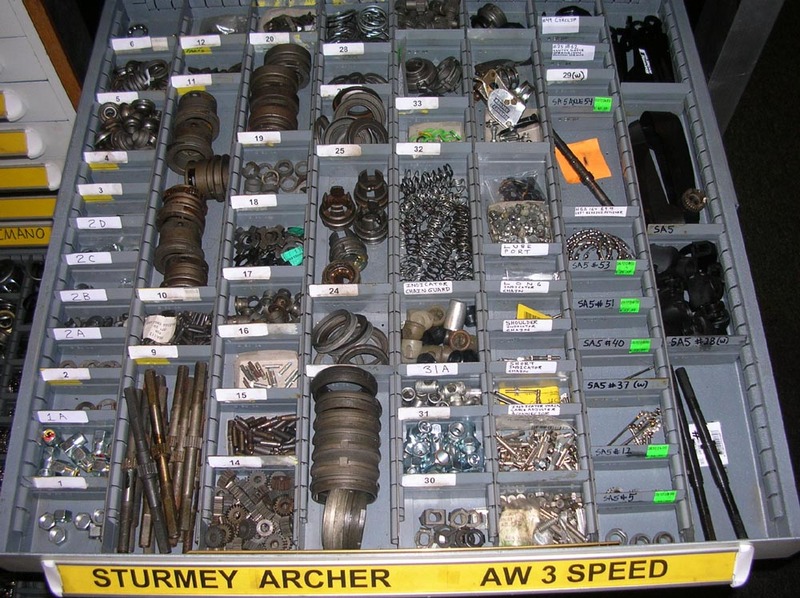 Include all axle nuts and non-turn washers. 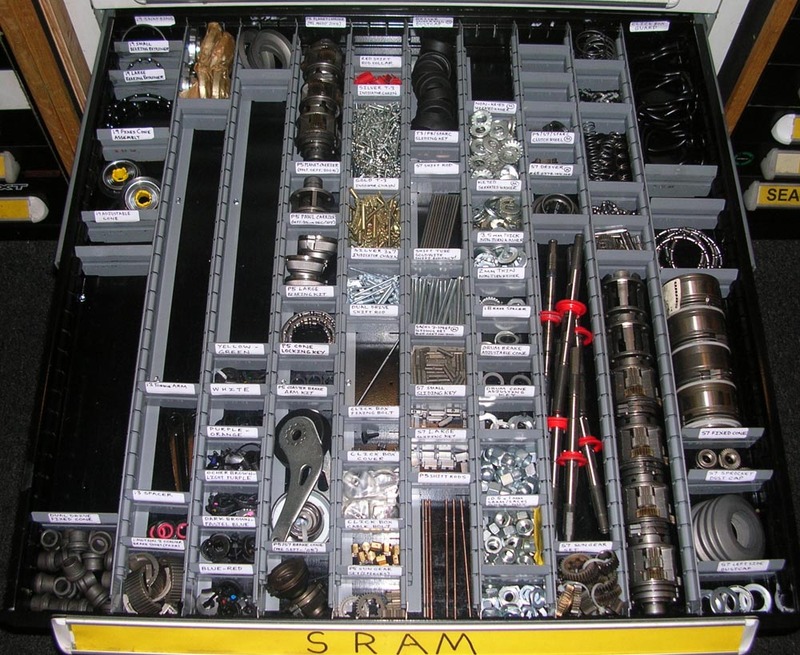 Exception: We do not need the SRAM click-box. Shipping option: To save shipping you may send us just the hub. Please let us know first, if you are choosing this option. Once we are done with your wheel, we will re-box it in the same box, so use a good box! New boxes cost $15. You will recieve an email with the invoice attached. It will contain a payment link from Paypal. WE DO NOT ACCEPT CHECKS, MONEY ORDERS OR CREDIT CARDS FOR THIS SERVICE! Someone you know has a Paypal account! Due to high shipping costs, confusion, and complaints, WE NO LONGER SHIP BOXES. Instead we have you do it. It saves both of us a headache if something happens to the box. We recommend you also insure your box. Shipping labels are very easy to create. Email us the PDF file. Your invoice will list the box weight and dimensions. Be sure to also schedule a pick-up and tell the carrier our hours are Tu-Fri 11-7pm and closed for lunch from 2-3pm. When you get your wheel or hub back, we strongly recommend you take it to a professional mechanic at a bike shop for installation and adjustment. Proper installation on the bike is tricky. Proper cable routing, installation and maintenance is necessary for a hub to shift properly. These are out of our control unless we service the entire bicycle. 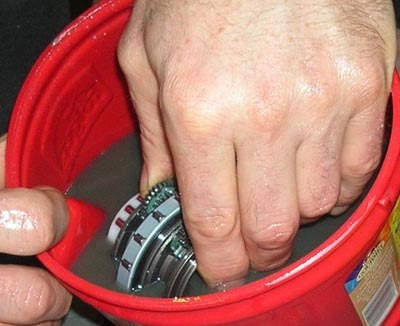 We gurantee your hub will be properly cleaned, lubricated and will shift perfectly. 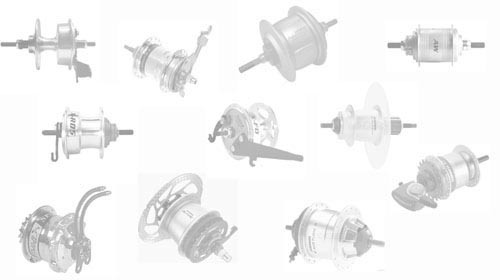 All hubs are bench tested for proper shifting. WE CANNOT BE RESPONSIBLE FOR PROBLEMS WITH YOUR HUB ONCE YOU RE-INSTALL IT. 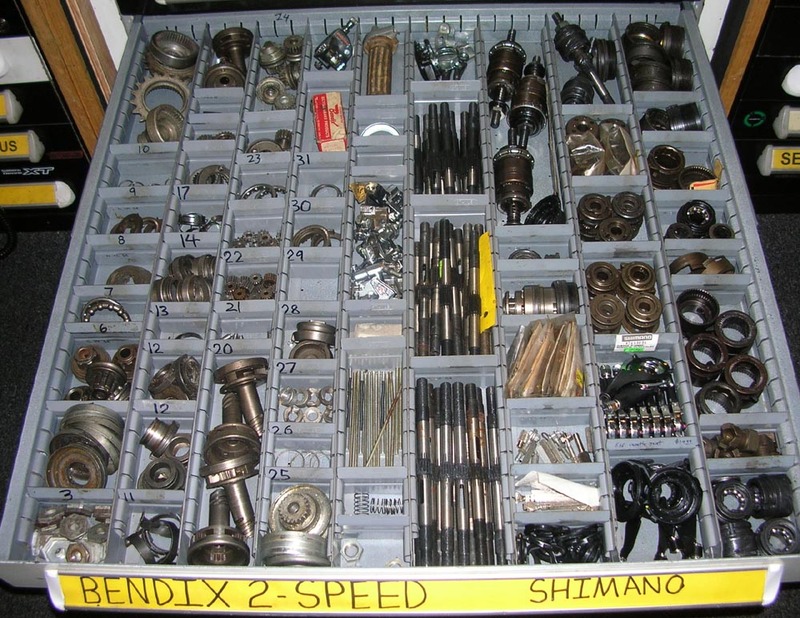 We service and stock parts for nearly all internally geared hubs. If you can't find it at your LBS, then email us at aaron@rideyourbike.com. 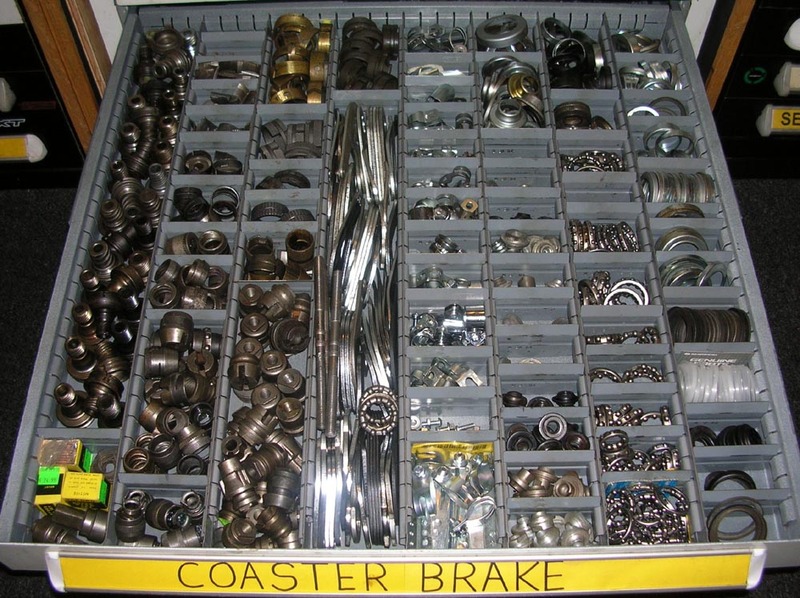 If we don't have your part we recommend: Old Bike Trader in the UK. ADDED TO THEM FOR USE IN THE PACIFIC NORTHWEST! 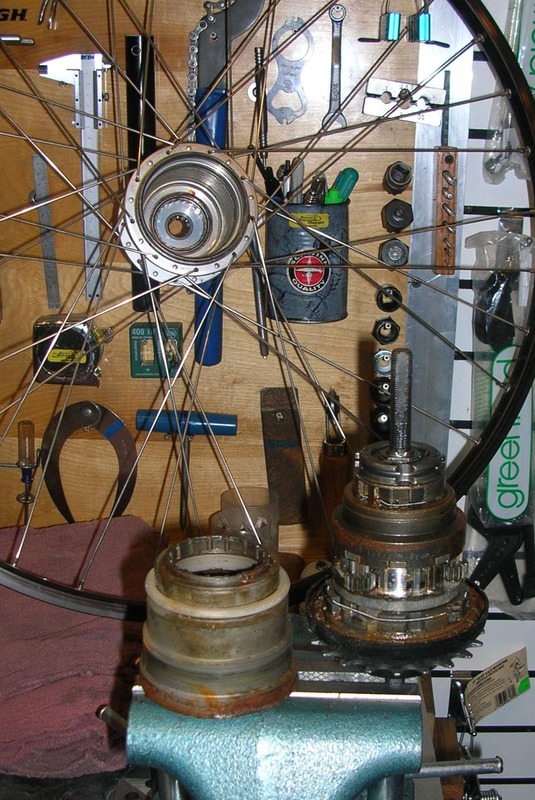 We charge $40 for oiling & greasing a new hub. Cheap!, considering that the below hubs cost over $350 each! This hub was ridden less than one year in Seattle. It is easy to add lube to this hub. Simply remove one rotor bolt (or dust cap if no rotor is installed) and inject 90 weight gear oil. We use Phil Wood Tenacious Oil. Just make sure you wipe any oil off the rotor! 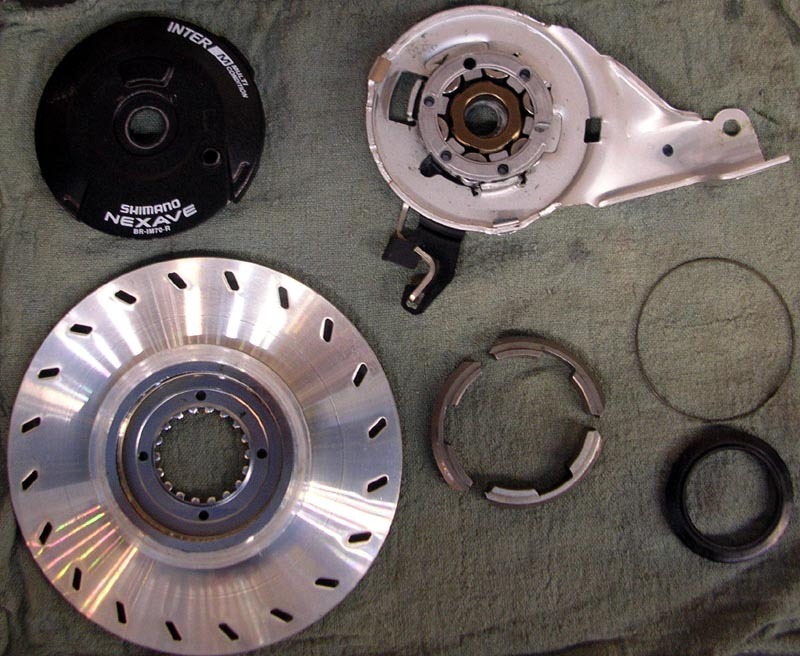 Rotors should be cleaned with isopropyl alcohol. Even with oiling, IGH hubs should still be overhauled once a year with heavy or extreme use (example: commuting in Seattle). This hub was ridden less than one year in Seattle. Neither the shop nor Shimano used enough grease and oil for NW weather. 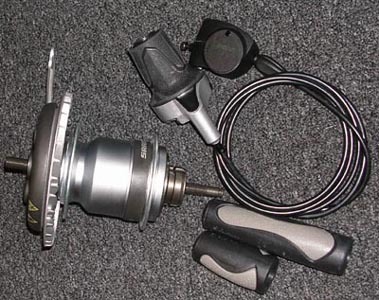 If you bring us your bike we can preemptivly weatherize* your hub and avoid expensive repairs. Unfourtunately, the only way to fix this hub is replacement. The hub shell bearing races were badly pitted. The hub functioned, but with a very loud rumbling noise. Below is a picture of the void where oil will pool when the bike is at rest. Growing up in Seattle, we know rain! 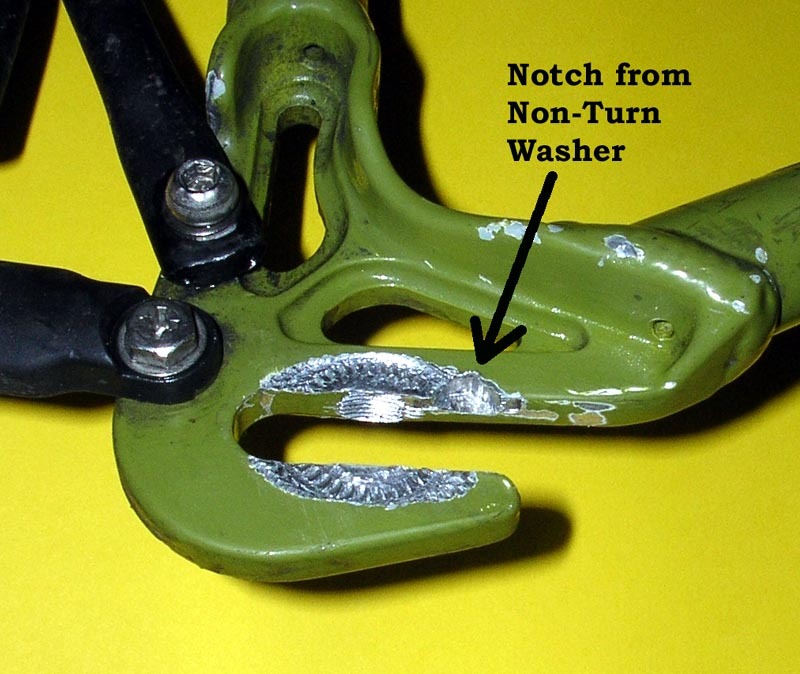 Corrosion prevention is one of our main objectives as mechanics. Sheldon Brown agrees! This is what the stock lube looks like after about a year's riding in Ohio, mostly fair weather. Note how the white grease on the ball bearings has already turned dark. Metal has worn from the races an discolored the grease. There was no wear on the races but left un-checked the hub would only last another year or two before the contaminated grease broke down and stopped protecting the races letting pitting happen. It is extremely important to make sure your axle nuts are tight (30 foot-pounds each MINIMUM!). 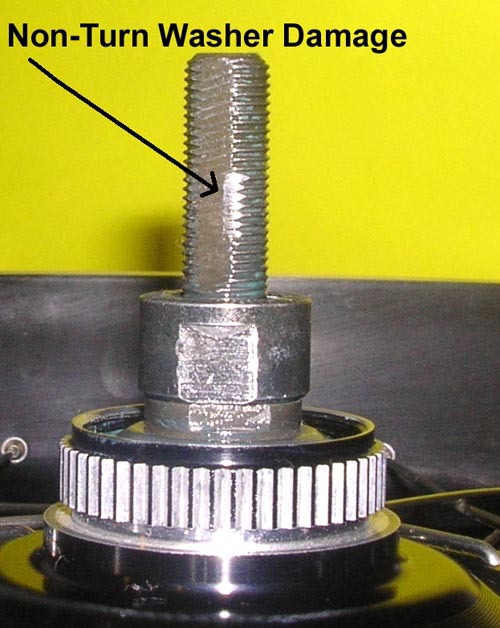 Grease or heavy oil the threads prior to installing the nuts. 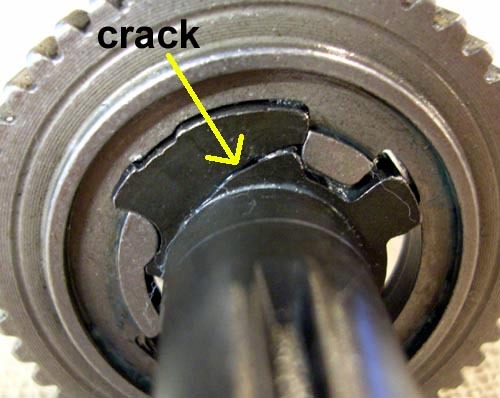 Check the torque once in a while. As you can see the axle threads were damaged from the axle trying to rotate in the non-turn washers. This is minor damage but it still made lockwasher removal moderately difficult. The axle is softer than the non-turn washers, but harder than most frames. 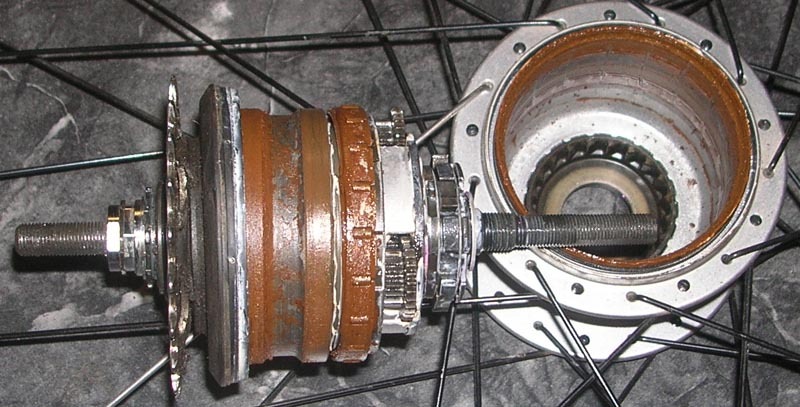 If the axle does manage to rotate, your frame or hub may suffer frame damage (as pictured below). 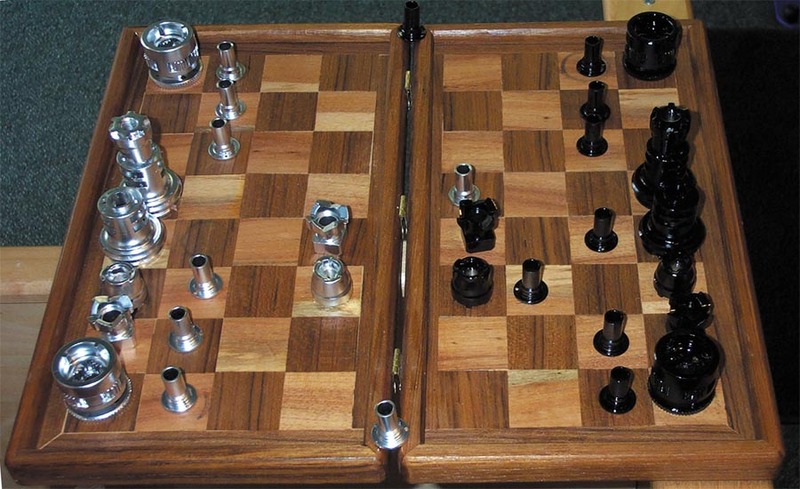 Also note the marks and recess created by the non-turn washer's teeth. 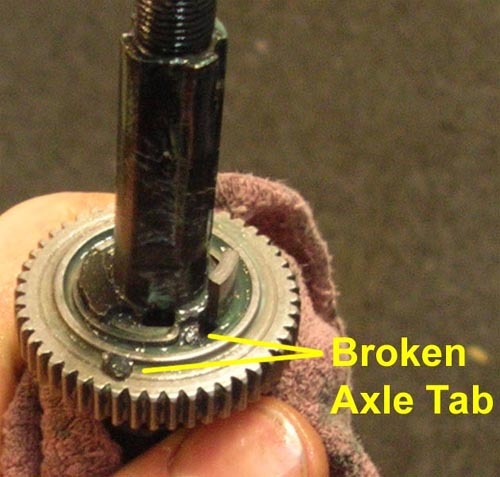 This happened because the axle nut threads were not greased and torqued to 32-35 foot-pounds. Axle movement is the enemy! 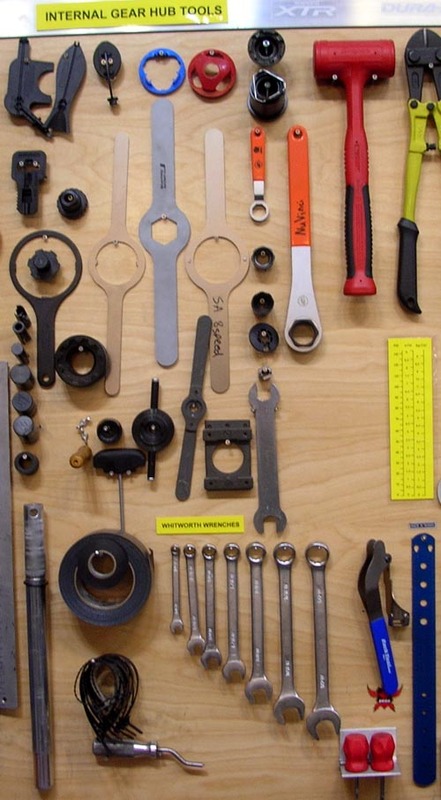 But since bicycles are put together by folks that may or may not know all the proper methods, dropouts should be built with replaceable steel inserts. Better yet, a steel frame! 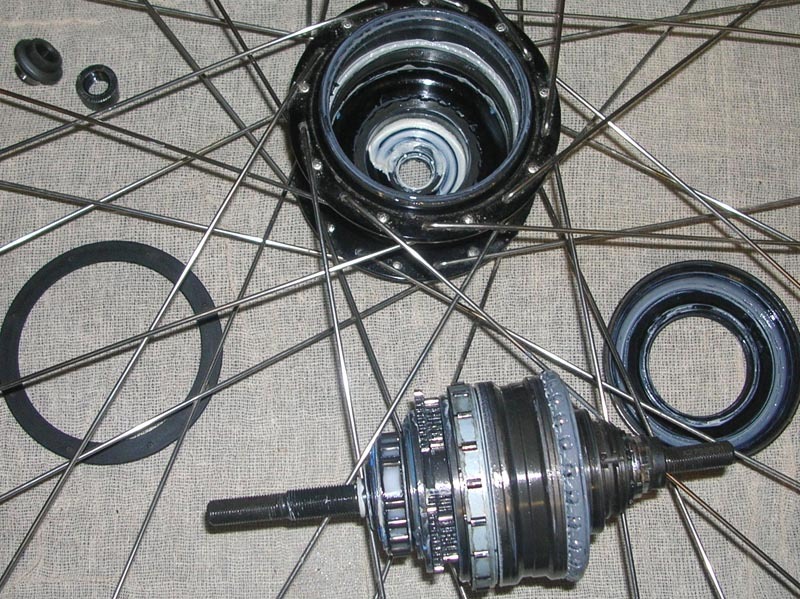 Below is what happened to a Shimano Alfine 8 speed hub when the axle rotated. 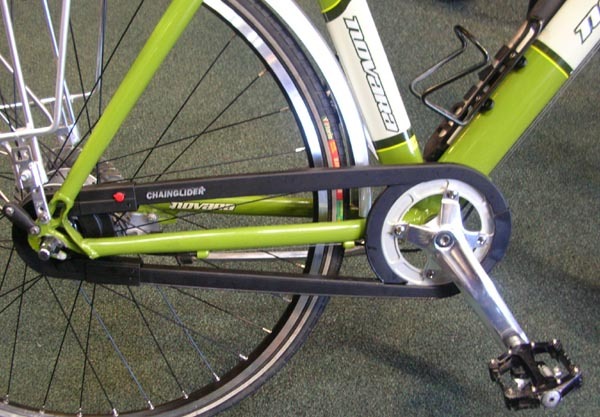 This product is perfect for most internally geared bikes. 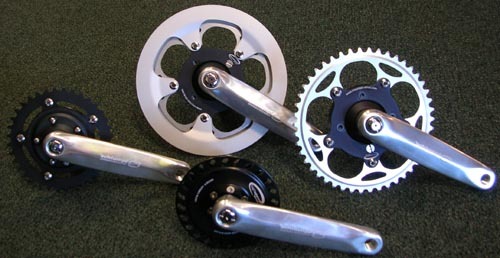 Chainring size is limited to 38, 42 or 44 teeth and rear cog size 18-22 teeth. We figured that since we sell Schlumpf Drives, we should stock the parts for them! We are a service center for Rohloff hubs! 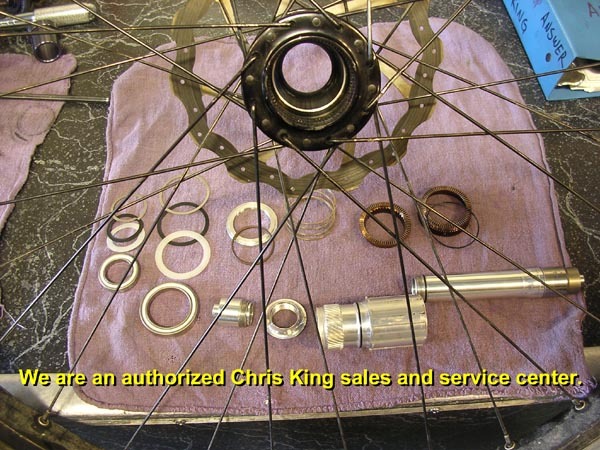 We can service any part from Chris King. Improved brake shoes and heat sink / cooling fins. Bevel gears and shaft drives have been around as long as the bicycle. Restoration is a book written about one such bike. 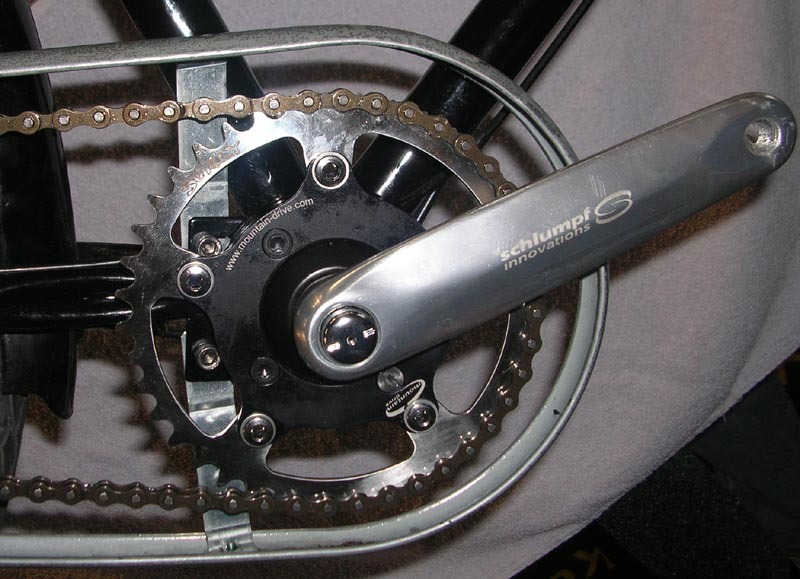 The Hill Climber was unique in that it shifted between 3 sets of bevel gears to change gears instead of using an internally geared hub. 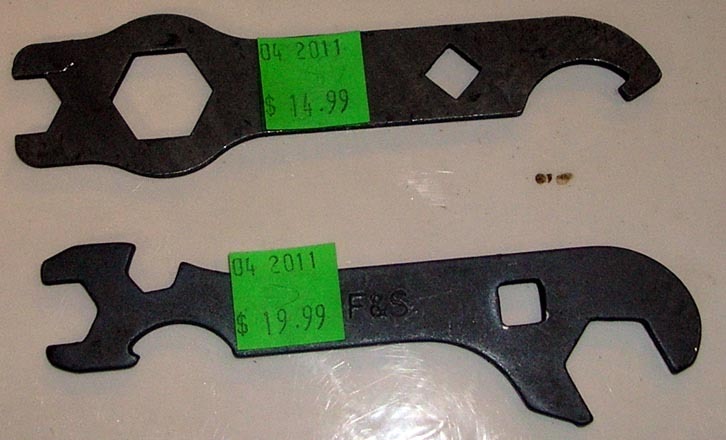 Hook spanners for F&S hubs and others. How to make this mount. 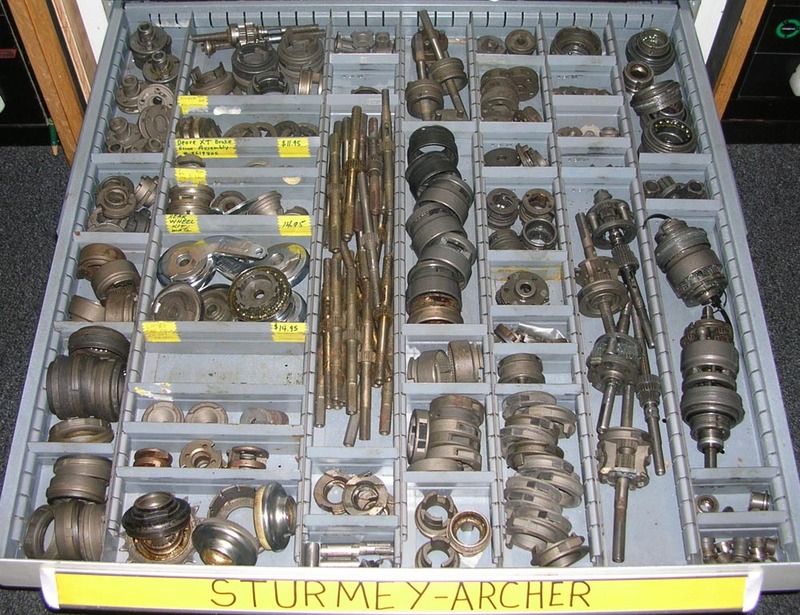 You will need special tools, contact the manufactuer and/or refer to the specific exploded diagrams for the tool numbers. 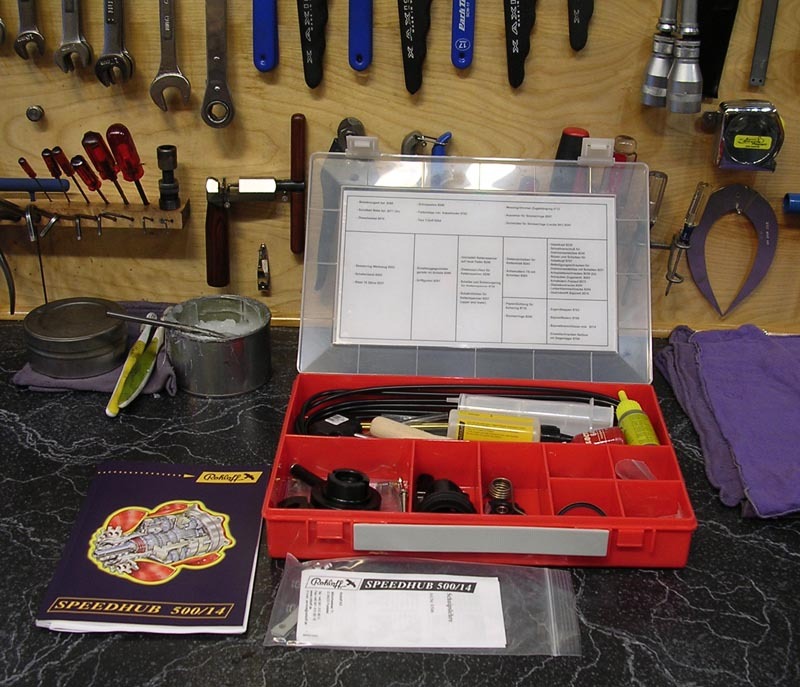 If you cannot find a specific exploded diagram or service manual, then send a request on shop letterhead to info@rideyourbike.com and we will email you the documents if we have them. For end users we offer consultation services for a fee. Send request to same email. BR>Why do we differentiate? We want to encourage the rest of the bicycle industry to step up to IGH service while still making an honest living! Clean the parts with any normal bike shop solvent. 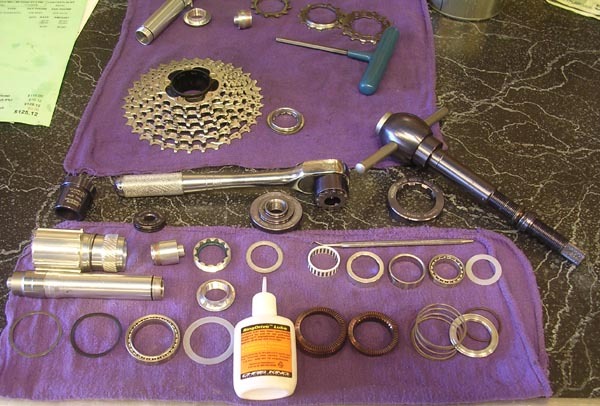 We use citrus degreaser for the small parts. 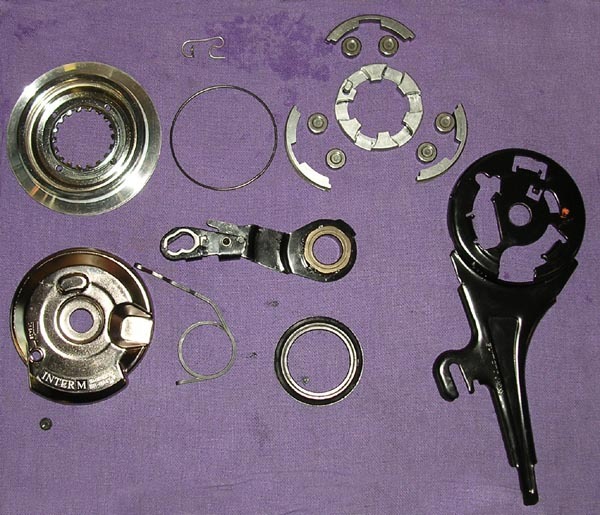 For Shimano Ring Gear Units, Axle Assemblies, planet carriers and similar we recommend soaking in kerosene. Use rubber golves and a tooth brush. 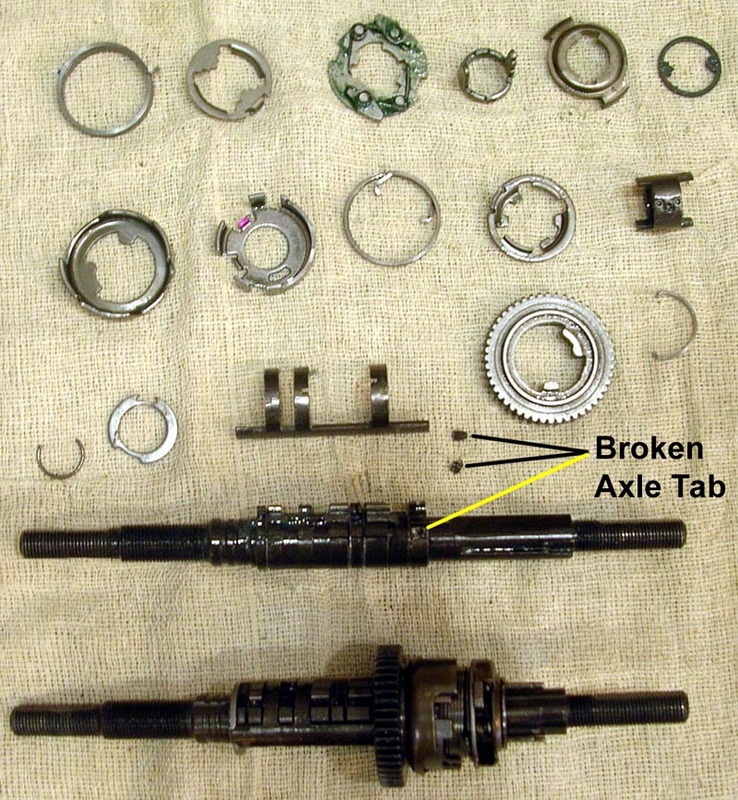 If the sub assemblies are not cleaned well, then the hub may have excessive drag. All parts must be thoroughly dried before reassembly. In the pictures on our various IGH pages you can see how we lubricate hubs. 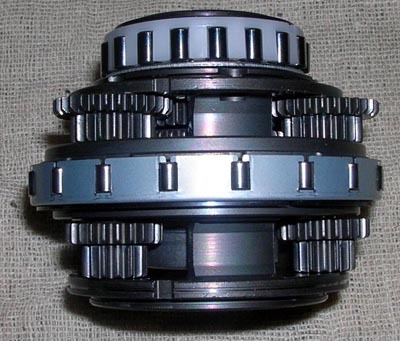 The gear teeth and ball bearings get a load of CRC Sta-Lube Boat Trailer Wheel Bearing Grease (product code SL3125). The roller bearings, pawls and the rest of the parts get coated in Phil Wood Tenacious Oil. The grease on the bearings helps keep the oil inside. It also acts as a barrier to water intrusion by filling all the spaces. 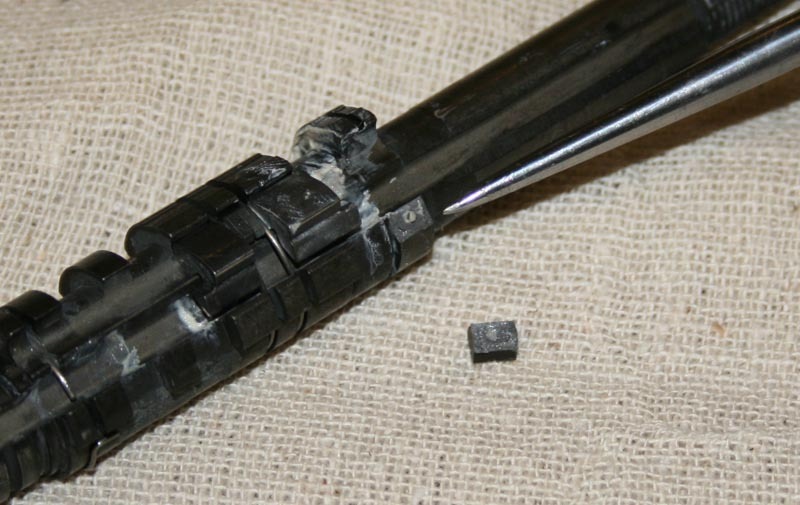 Do not use heavy grease on the rollers or the hub may slip. 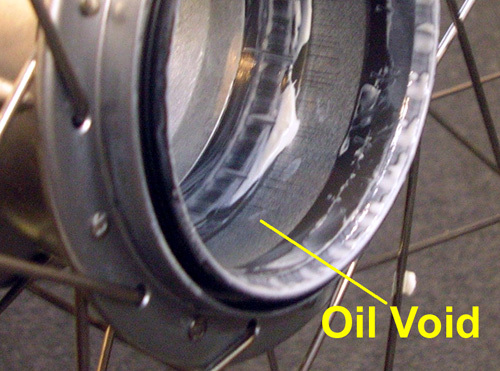 Cold climate users may want to use only oil or a lighter grease with a low operating temperature. We have had reports of success using Lucas Heavy Duty 80W-90 Gear Oil (It is good down to -36 degrees C). 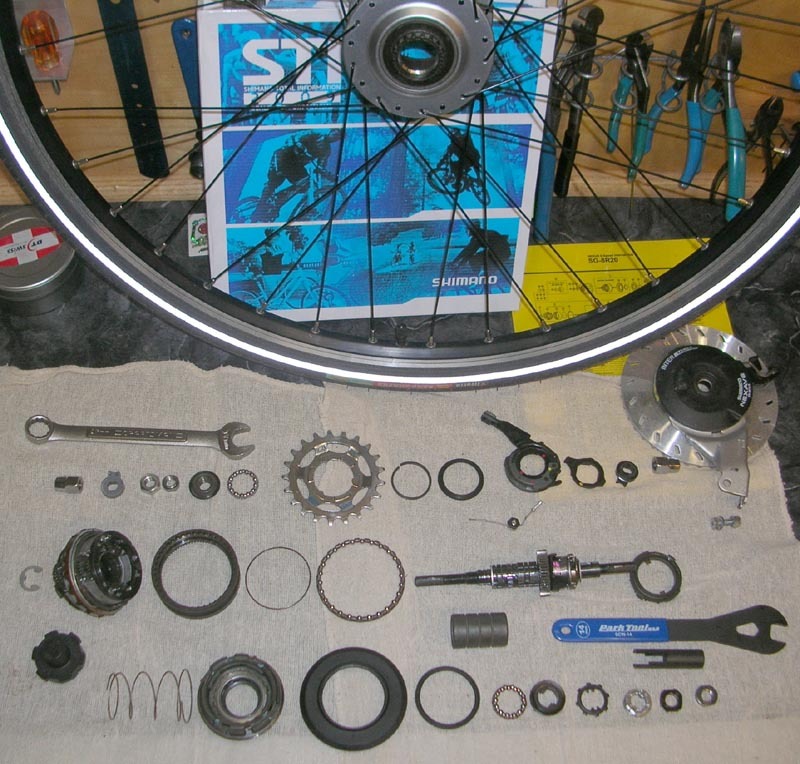 You may also use Rohloff Speedhub Oil or Shimano SG-700 Oil. Note that all 3 oils are for sealed hubs like the Alfine 11 and will leak faster out of lesser sealed hubs. Shimano Nexus/Alfine 8: Clicking in gears 5 and higher is normal. Cleaning and re-lubing sometimes makes this clicking louder. Nothing is wrong with the hub. There may also be slight gear change delays, but they will go away very soon. Always replace the cable and housing every overhaul. 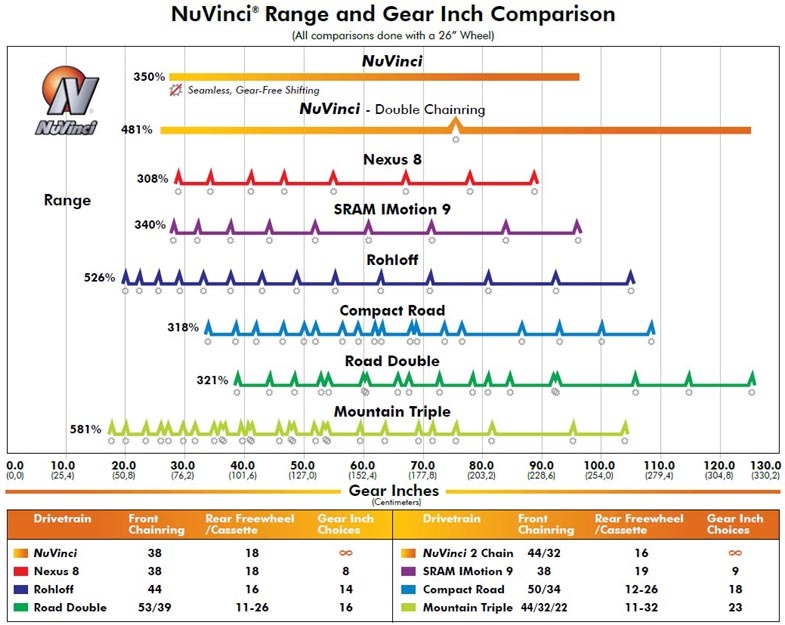 Use Jagwire slick stainless or similar, metal ferrules and quality index housing. Full length housing is always recommended to limit cable movement and dirt entry. Shimano cassette joints pop apart with ease into 2 parts without tools and should be cleaned and installed dry. DO NOT LUBE THE CASSETTE JOINT!